Honey Boo Boo’s eldest sister Anna “Chickadee” Shannon Cardwell has revealed their sister Lauryn “Pumpkin” Shannon believes Mama June’s child molester boyfriend Mark McDaniel is her father. 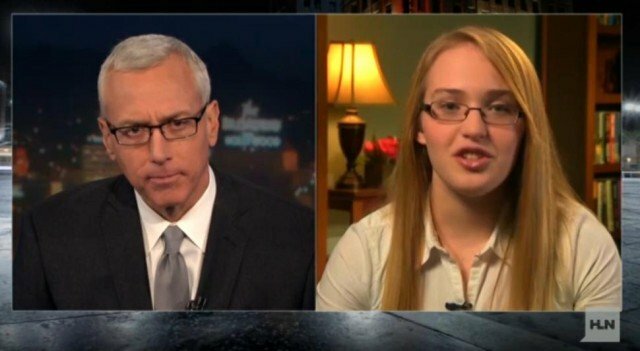 Anna Cardwell, who accused Mark McDaniel of repeatedly assaulting her when she was 8, told Dr Drew on HLN that Pumpkin believes the convicted molester is her dad. She said that is why Pumpkin has defended June Shannon since reports emerged that she was dating Mark McDaniel again after his release from prison in March. “You know, out of all the kids we have, Mama does not know who Pumpkin’s dad is. And Pumpkin thinks it’s Mark which kind of hurts my feelings, because Mama is making her believe that someone who did that to me is her father.